‘Happy Mentor’ as an organisation is the culmination of our experience as Corporate Employees, Consultants, Trainers, Mentors and in various other roles over several decades.We never miss an opportunity to evolve ourselves and being of unique service to our clients. Our approach is holistic and we are guided by several mentors in our quest towards excellence. While creativity is our main forte, many CEOs have seen benefits in the improvement in productivity, values & most importantly in ‘Happiness content’ in their senior as well as mid-level colleagues. We at Happy Mentor are delighted to offer ‘Happy Strokes for Corporate Innovations’ (HSCI). The main objective is to be of service to the CEO. This is by way of creating a set of simple processes for arriving at better solutions for key ‘live’ issues that are affecting the profitability of the organization and most importantly for implementing such solutions. The project will be tailor-made to a given organisation. Raghavan is a Mathematics graduate, Chartered Accountant and Cost Accountant. He has more than four decades of experience encompassing various industries, financial services, training, mentoring and consulting. He is based out of Chennai, India. 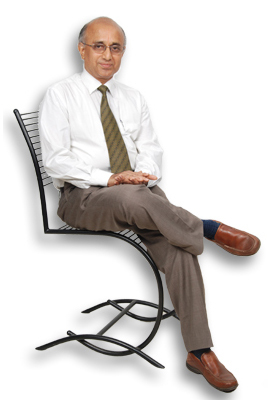 He has developed several leaders while working at leading corporates. He has trained thousands of people at a leading Financial Services Group in Financial Planning, Selling skills, Customer Centric skills, Stress Management, Success Habits etc. He was rated very high for his Mentor-Mentee Series while working at that Group.